Government of Telangana is conducting Employees & Teachers Transfers in the month of June 2018. The Entire process of Transfers is depend upon the points getting by the teachers. The next place of Transfer will be decided by the points which teachers are getting in two ways. 1) Station/School Points and 2) Service Points. Govt have given a clear guidelines on how the points will be calculated through the GO.Ms. No.12. 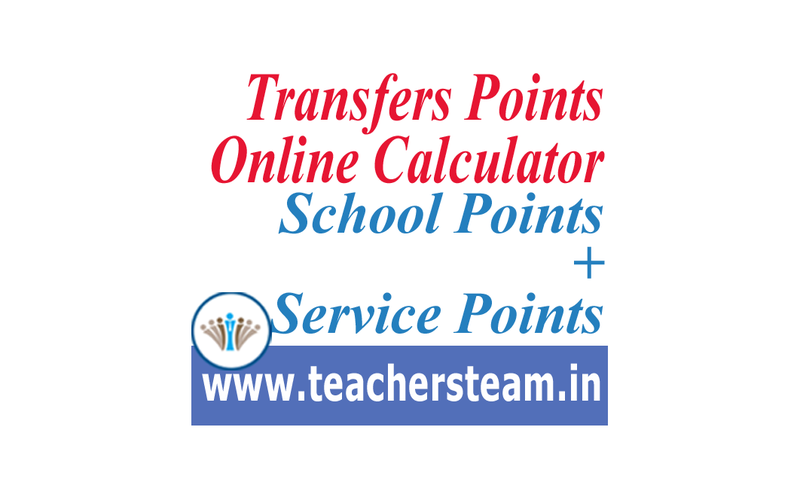 As per the GO only an online calculator for calculation of transfer points. In this calculator you may follow the simple steps to calculate your transe. Enter the said details below & get your transfer calculated Transfers Points. 10th result points add cheste actual points vastai kada sir.